The American Civil War killed hundreds of thousands of men, and devastated millions of lives. The industrialised battlefields of 1861-65 racked up casualty lists so huge that they become practically impossible to visualise- Fredericksburg 17,929; Shiloh 23,746; Gettysburg 51,000. The physical scale of such losses makes the overall ripple effect each death had on dependents and loved ones almost impossible for us to comprehend. Perhaps one way around this is to start looking at the losses in smaller and more mentally comprehensible numbers. One approach is to study a single battle- in this case the 1862 engagement at Gaines’ Mill, Virginia- and the dead from a single regiment, in order to try and visualise what was lost with all this death. The regiment I have chosen is the 9th Massachusetts Infantry. To read an account of the 9th Massachusetts’s fighting at Gaines’ Mill, Virginia on 27th June 1862 see a previous post here. It suffices here to note that the battle was Robert E. Lee’s first victory in command of the Army of Northern Virginia. The Irish 9th Massachusetts were engaged for the entire day, a fact reflected by their losses, which were the worst in the Army of the Potomac. They sustained a total of 249 casualties, 82 of whom were killed or mortally wounded. A number like 82 dead, though still horrific, presents us with an opportunity to view in microcosm what thousands of deaths across whole battles and campaigns really represented. However, it is still a challenge for us to see behind and beyond the number, to see what it represents. To do that we have to try and find out who these men were, where they lived, what their jobs had been- what hole did their death leave in the fabric of life for those they left behind? With these questions in mind I studied the 9th Massachusetts dead of Gaines’ Mill in the hope of partially answering some of these questions. Working with the regimental roster provided in veteran Daniel MacNamara’s 1899 History of the Ninth Regiment, Massachusetts Volunteer Infantry, some interesting information was revealed. I have attempted to highlight some of that information in visual format here. I started first with where these 82 men were born. Perhaps unsurprisingly given the ethnic nature of the regiment, the majority were from Ireland. At least 61 had been Irish emigrants born in Ireland, with a further 7 born in the United States, 4 in Canada and a further 10 unknowns. Despite the fact that we might expect many of these men to be of Irish birth, to note over 60 Irishmen dying in a single regiment in a single engagement (albeit in a notably arduous battle) brings home the true magnitude of the American Civil War for many Irish people. Clearly the hard fighting of the 9th Massachusetts Infantry, especially as it was a ‘green flag’ regiment, meant that the 27th June 1862 was a bad day for the Irish of that State. Although the men who died that day were largely Irish, they had made a new home in the United States, and the vast majority of them lived in Massachusetts when they enlisted in 1861. 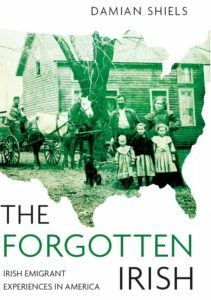 We might expect nearly all of them to have made that home in Boston- and indeed many did- but there was also a large number of others who had settled elsewhere in the State. The map below shows the state of Massachusetts- the blue pins represent the different locations where 76 of the 9th Massachusetts dead resided in 1861. What of these men’s jobs? 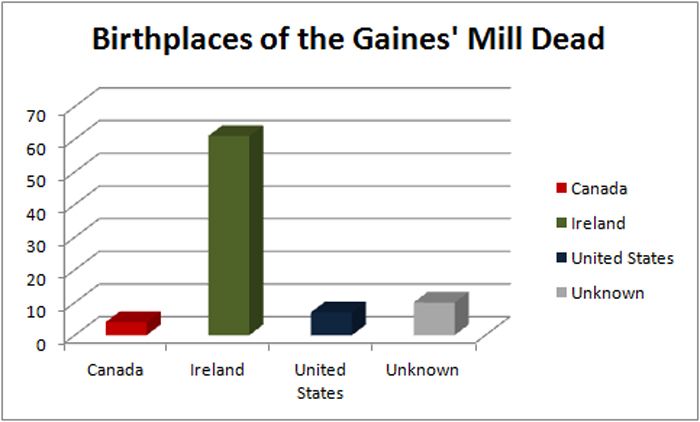 We often expect the majority of the Irish poor to be listed as laborers, but at least in the sample from Gaines’ Mill dead this is not the case. Fifteen of those that fell dead in the face of the Confederate attack had just a year before been bootmakers; a further thirteen shoemakers. The dominance of the leather trade is a reflection of the vibrancy of that profession in their home State at the time. In addition, some of the men had what might be termed ‘unusual’ jobs, examples being George Grier, the Confectioner, and Peter McIntyre, the Oyster Opener. What then of the age of the 82? 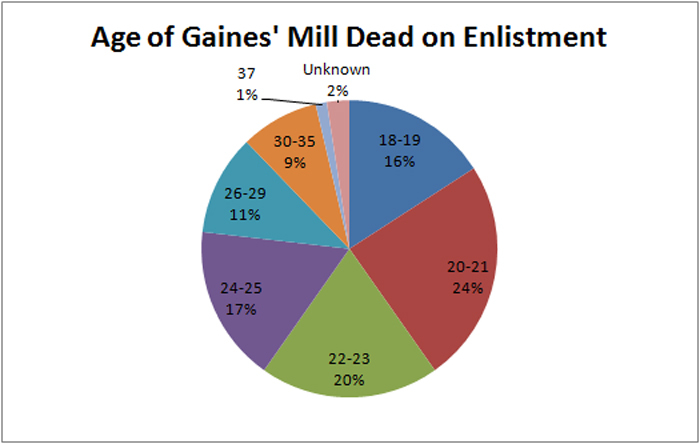 The vast majority of those of the 9th Massachusetts killed at Gaines’ Mill had barely begun their lives. Of the 80 for whom age information is available, only eight were over 30 years old when they enlisted in 1861. At 37 Morroco-Dresser Joseph Smyth represented the eldest in 1861 by two clear years. A total of 49 of the men had been 23 years old or younger when they enlisted, the year before they lost their lives. Given the low age of the majority of the dead it is perhaps unsurprising that the roster suggests only 14 of the 82 men killed were married. 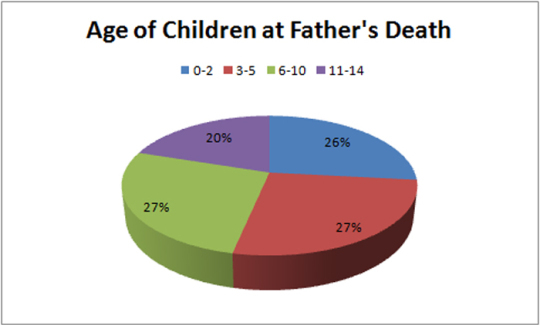 This reduced the number of offspring who were impacted by the losses, although at least fifteen children were left without a father as a consequence of the 9th Massachusetts death toll at Gaines’ Mill. Of these children, four were under two years old at the time their father was killed; none were over the age of fourteen. There is evidence for at least twenty pensions being claimed by dependents as a result of the 9th Massachusetts dead from 27th June. These are split evenly between ten widows of deceased men and ten mothers, who had relied on their sons for financial support. A more detailed look at this information will undoubtedly reveal more about the consequences of some of these deaths; for example Hannah Marrin and Ellen Day both remarried before the end of the war- the need for financial stability may well have played a role in their decisions. Ellen McQuade, the wife of Tyrone born papermaker John McQuade, went insane in the time after her husband’s death, again potentially a consequence of her loved one’s death, and one of the many ‘ripple effects’ of the war. 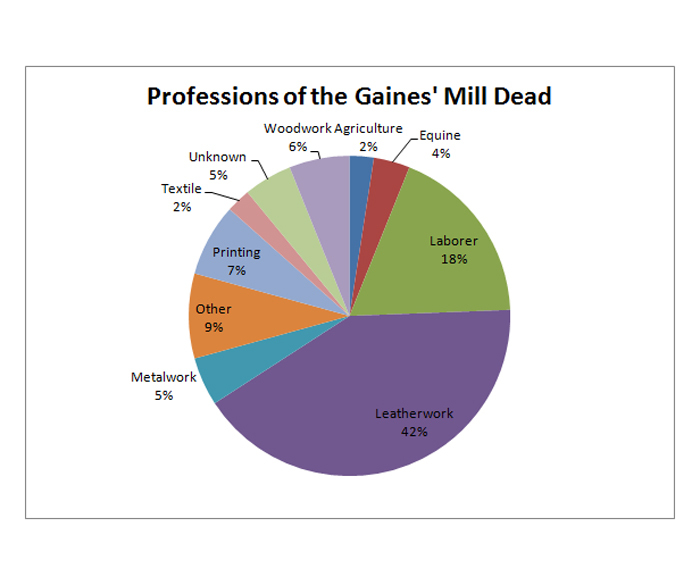 This is some of the information we can glean from an examination of the dead of Gaines’ Mill. There is much more that can be learned- for example, how many direct family members experienced personal loss as a result of the 9th’s fatalities on the 27th June 1862? One would expect given the age profile of the soldiers that many younger siblings were left to mourn their loss along with their parents. I have only begun to explore information such as this as it pertains to the 9th Massachusetts Infantry, and in the course of time I intend to look at the entire regiment, seeking to discover more about those who marched in its ranks. It is only by looking at these men’s social background, their ante-bellum lives and the effect of the war on their families that we can truly begin to understand the impact of the American Civil War. Surviving Irish family members could not apply for a pension if they lived in Ireland, correct? What if they immigrated after the death? Could they then apply? Did they have to be American citizens to receive the pension? Did the soldiers have to citizens to enlist? I presume no? Good questions! They are aspects that are worth looking into further- you could receive a pension in Ireland in the 1880s at least, when ex serviceman, widows and dependents who lived in the country received pension payments through their local Post Office. There are a number of Civil War related pensions there, although I would have to look deeper into it to see if any of the dependents had always been resident in Ireland or had just returned, it is an interesting thought. Very few did come back to Ireland. You did not have to be a citizen to join, but it is my understanding that they would have been by the time of their pension, although I stand to be corrected on that! This is very interesting and really helps bring the war to life, enabling people to comprehend what a tragedy the entire period from 1861-65 was for both North and South. I look forward to reading more what you’re able to glean from the records of the 9th Massachusetts. Well done. Excellent job putting this into perspective. As you may remember from previous post. I have been following the 9th Massachusetts in my reading and find it fascinating. are all buried in Hollyhood Cemetery in Brookline Mass.All within 50 yards of my fathers and great grandfathers graves. Many thanks! I am with you on the 9th Massachusetts, I find them a really interesting unit, particularly as there is so much written about them. I am currently looking at the Diary of Timothy Regan which is another remarkable survival of the regiment. They will feature many more times on the site I suspect! It must be amazing to have family in such a historic cemetery, and so close to men like that as well. Are you related to Richard Carney of the Irish 9th (from Salem)? I am. I will have a look to see can I find anyone directly linked to Kenmare- often though they only listed Ireland or a county at best, but still worth a shot. If you have specific names of people though it is different, we could systematically search them by name to see how we got on if you have a list? Thanks for getting back to me Damien. Dont have any specific names but if you could look for O’Sullivan and Harrington with any christian name there is a strong possability they came from south kerry…. I will certainly have a look!